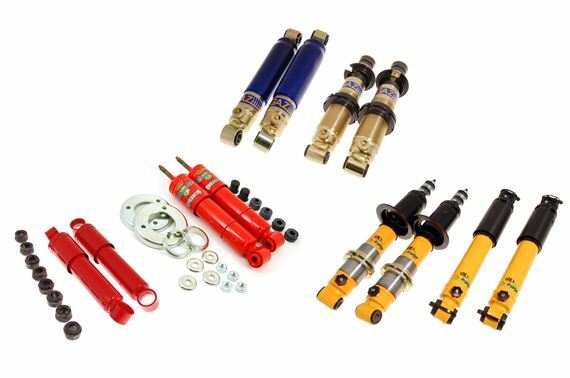 The KSX damper range is specifically designed for Classic Car owners who need a Bespoke solution to their suspension needs. The basic principle of the KSX range is to allow you to create your own specification of damper from a standardised range of damper bodies and end fixings. 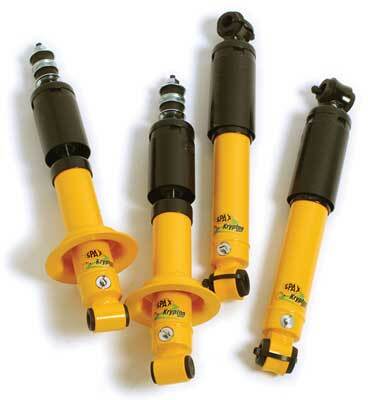 KSX dampers have 28 stages of on car stiffness adjustment. The adjustment is made with no dismantling and it alters both the bump and rebound forces in unison. 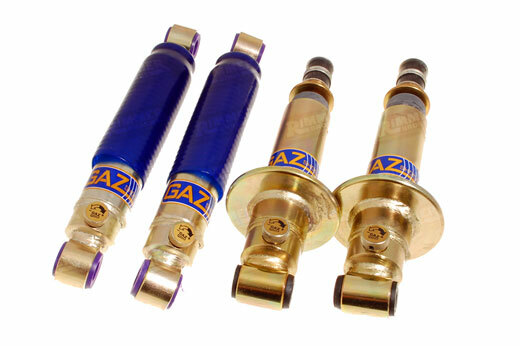 The damping characteristics have been specially designed to be ideal for touring and for fast road use. 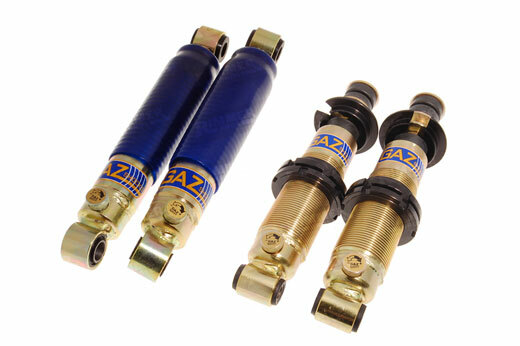 SPAX KSX dampers are pressurized with Krypton gas. This produces not only superior low speed ride quality, but also high speed performance that is significantly improved. KSX dampers are designed and hand built to the strictest German TüV quality standards, using the latest technologies and methods. Each and every damper is fully Dyno Tested to ensure you get 100% performance, 100% quality, 100% guaranteed. All KSX dampers are Epoxy Powder coated and oven cured for second to none looks and extra long life. The KSX range has been designed so it can be serviced, re-valved and repaired if required. This allows a long and economic damper life. SPAX’s massive buying power, commitment to value and “Factory Direct” pricing allows you to buy this premium product at second to none value. 28 point adjustment, dyno tested. Handbuilt, matching units. Also available with adjustable spring seat (front). Designed and developed by Motorsports Engineers. 2 year warranty. Specifically designed for each application. Individually tested until optimum in handling and comfort is reached. Will usually outlive your car. 36 point fine tune settings. Zinc plated bodies. Double lip seal + O-ring on piston rod. Fully rebuildable. Top quality. Also available with adjustable spring seat (front). Each unit and supplied with individual dyno read-out.